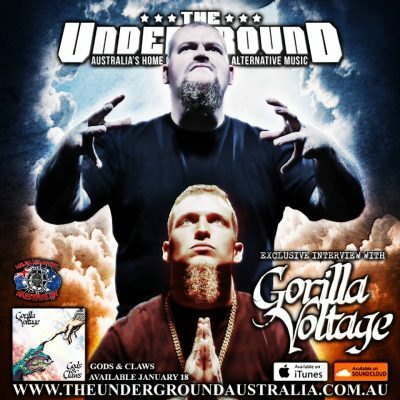 Once again, our homie Ned over at The Underground Australia has proven that he’s a Super Ninja and snagged an interview with Majik Ninja’s very own Gorilla Voltage! In the interview, Ned, ClockworC and Mr. Grey go over plans for the new year, the new album “Gods & Claws,” working with Seven, new music videos, Australia, Netflix, Tool and a whole lot more! Listen to the entire 15 minute long interview right now over at TheUndergroundAustralia.com.au by CLICKING HERE or check that out below. Once again, props to the homie Ned!